Remember when Detroit changed its automobile designs on an annual basis to encourage consumers to buy the latest thing off the production line? This was a common marketing tool and other industries adopted this planned obsolescence approach as well to drive sales. It continues today as we anticipate the next new thing from Apple! I was reminded of this tactic while talking to a pastor friend in another denomination. He commented that his denomination had just thrown the next “big program” at the churches. His experience was that practically every year the denomination found a new program that was going to ”turn the denomination around.” My friend saw some good in several of these programs, but his concern was that the judicatory leaders did not give a new program time enough to take hold and be effective before changing to something else. They were grasping at straws. Those of us who grew up as Baptists in the south identify with this approach. Each year it seemed that “denominational headquarters” came up with a new program that was going to bring in the Kingdom. 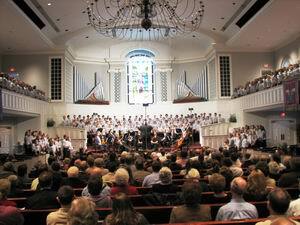 It was fed down the pipeline—national agency to state convention to local association to the church. This consumerism approach was meant to inspire, motivate, and sell product. In Missional Renaissance, Reggie McNeal urges the church to move from this program development idea to people development. We should spend less time coming up with new programs and more time investing in people. Exactly what does this look like? One type of people development is spiritual formation. Every believer needs to know how to approach, experience, and learn from God. Whether one pursues this path individually, finds a spiritual director or joins a group, each of us can benefit from learning and practicing some of the classical spiritual disciplines like centering prayer and lectio divina. The Companions in Christ materials from the Upper Room such as Exploring the Way would be a good place to start. Another form of people development is disciple coaching. This combines two approaches—disciple development and coaching—to encourage individuals as they take responsibility for their own spiritual development. 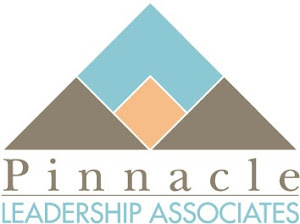 Mark Tidsworth of Pinnacle Leadership Associates has developed a process called Disciple Development Coaching ©. 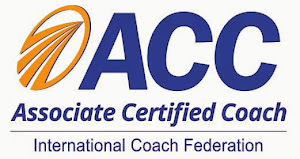 He defines it as “a focused collaborative relationship, resulting in the disciple living out his/her calling more fully.” The coach works with the individual believer to discover his or her growing edge, determine the steps to move in that direction, and walks with the person through the process. Other people development processes are available such as mentoring, peer groups, and learning communities. What all of these have in common is a commitment to invest in people rather than programs. Programs become obsolete and must be replaced but the investment in people endures. Programs come and go, but when we help men and women grow in Christ, we are helping to bring in the Kingdom of God. 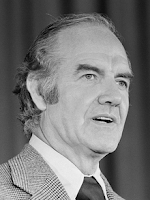 George McGovern passed away on Sunday. A minister’s son, McGovern flew bombers in World War Two, taught college, and served in both the House of Representatives and the Senate. He is best known, however, as the Democratic Presidential candidate in 1972 who lost decisively to President Richard Nixon in one of the greatest landslides in history. McGovern is said to have remarked, “For many years, I wanted to run for the Presidency in the worst possible way – and last year I sure did." Less than two years later, Nixon resigned in disgrace, leaving a stain on the Presidency and a mixed legacy. McGovern was an unabashed liberal and a vocal opponent to the war in Vietnam. You might not agree with him, but you always knew where he stood. The same cannot be said about Nixon. There are at least two lessons here. First, the electorate can make bad choices. Two-thirds of Americans voted for Nixon in the popular vote and he carried 49 states in the Electoral College. Popularity does not always assure success and the person selected to serve as President of the United States is not always a paragon of virtue. Second, what one values will endure. Although he was a good leader in many ways, Nixon died under a cloud because of his “dirty tricks” and subterfuge. McGovern died without regrets because he never gave up on his values. He took unpopular positions that reflected his ingrained convictions. Jesus said, “What good will it be for someone to gain the whole world, yet forfeit their soul? Or what can anyone give in exchange for their soul?” (Matthew 16:26, NIV) Kind of puts things in perspective, doesn’t it? Newsweek, the venerable weekly news magazine, has announced that it will cease print publication with its December 31 issue. Plans are to continue in a digital subscription format. I don’t know when I first starting reading Newsweek, but I do remember reading the thin-paper, black and white Newsweek International edition when I was stationed in Vietnam in the late 1960’s. I was a subscriber for a number of years but cancelled (actually, I chose not to renew) when Jon Meacham left as editor and Tina Brown came on board. I fully expected the print version to go under at some point. There are a number of reasons why a printed publication like Newsweek (and U.S. News and World Report which “bit the dust” earlier) has difficulty surviving in the digital age. Digital accessibility drives a 24/7 news cycle that provides all types of information—of various quality—instantaneously. The weekly news magazines once argued that they could provide more in-depth coverage and analysis, but bloggers have usurped that role and true in-depth reporting now comes in book-length form. 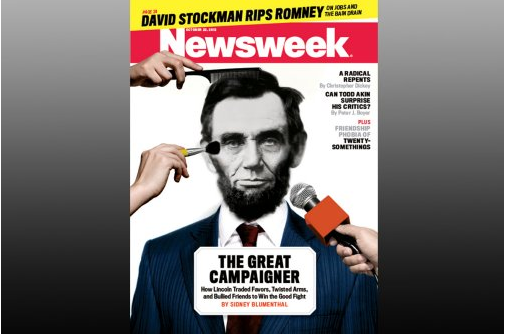 Going digital will not assure the survival of Newsweek, however. The product will have to improve. The magazine was no longer devoted to current events and cultural analysis but had become a smorgasbord of fashion, opinion, and minutiae that no longer interested me. I have found myself able to survive without Newsweek in its present format since the first of the year, but I am grateful for the way that it informed and enlightened me in days past. Rest in peace. Throughout Christian history, individuals have discovered unmet needs and stepped forward to create new strategies to meet those needs. Such efforts have given birth to monastic orders, mission boards, parachurch ministries, and benevolence ministries that often stand alongside the church to reach and minister to human need. In his blog, Lou Dubois notes that the same is true today of individuals who may not identify themselves as religious but who see need and find innovative ways to respond. He refers to Rupert Scofield’s comment that “whether your mission is as ambitious as pulling millions of people out of poverty or as modest as feeding people in your neighborhood, now is the perfect time to get started. Social entrepreneurship has never been more needed, more valued and more achievable than it is today." This is certainly true in the faith community. A number of individuals, especially young adults see the needs of the neighborhood, country, or world and are finding ways to address those needs. They are unwilling to wait for slow bureaucratic processes that often kill creativity and are launching out on their own. In order to be successful, Dubois suggests that the social entrepreneur must do three things. These steps would be useful for the ministry entrepreneur to consider as well. First, know your issue. This will require not only doing the demographic study but immersing yourself in the context as well. Talk to the people “on the ground”—both those in need and those who are already seeking to meet the need. In so doing, you will discover the resources that are already being invested here, those that are absent, and some that you might be able to tap in order to pursue the mission you have identified. Second, build your brand. Clearly understand the need you are seeking to meet and be able to articulate it clearly and concisely, and then take advantage of all the means at your disposal to communicate what you are doing. This requires personal contacts, networking, and the use of social media. If you are not adept in using digital resources, enlist someone who is. Third, think of it as a business. "The modern non-profit must adopt many of the same strategies, policies and best practices employed by successful enterprises in the for-profit world, but not at the cost of its soul," writes Scofield. A successful entrepreneur, even one in ministry, must consider the “bottom line.” Can you find or create the resources—financial and otherwise—to make this ministry work? Does it have the potential to become self-supporting? Changing times call for creative approaches and the Spirit continues to call out those who are willing to accept the challenge. There are few topics that have prompted more discussion and even open conflict in the church than worship, so I will admit that I am on dangerous ground when I comment on this subject. Terms like “traditional,” “liturgical,” and “contemporary” are often used to describe worship but the definition of each is very subjective. 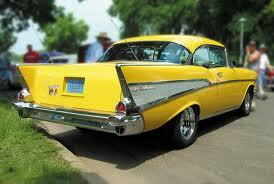 Every form of worship was new and innovative at one time whether Gregorian chant or gospel quartet. Worship is very diverse, but whatever style is practiced by a church the most important aspect of worship is what it says about the worshippers’ relationship to God. A number of years ago John Claypool introduced me to Soren Kierkegaard’s ideas about worship. Kierkegaard presented the concept that Christian worship was a drama. Although many churches of his day accepted that idea, Kierkegaard saw a variety of ways that churches practiced the various roles in the drama. He observed that most often in worship, God was considered the prompter, the liturgical leaders (musicians, readers of the scriptures, preachers and celebrants) were the actors in the drama and the congregation was the passive audience. Skilled leaders had taken on the role of performers in the ritual because of their training and experience. The congregants were simply onlookers. Kierkegaard taught that this understanding of worship as drama was totally wrong. People were taking on the wrong roles. The liturgical leaders (musicians, readers of the scriptures, preachers and celebrants) are to be the prompters in worship. All of us--the congregation as well as the worship leaders— are the actors in the drama of worship, and God alone is the audience for the drama. No matter what your approach to worship may be, if we adopt this model the leader(s) of worship have several mandates. First, the primary emphasis in God-oriented worship is not performance but submission. Musicians, preachers, readers, and others will want to bring their best to the worship experience not in order to be praised but as an offering of themselves. Even congregants will want come in an attitude of sacrifice and offering rather than disinterested observers. Second, we should come to worship not expecting to be filled but to be emptied. The chief end of worship is not to fill my own cup to overflowing but to empty my cup in worship of God. If God chooses to fill me with the Spirit as a consequence of my participation, such filling is a gift of grace and has nothing to do with the way in which I performed a certain ritual. Third, worship is the work of the whole people of God (liturgy) and not of a talented few. Worship is best when it involves all kinds of people representing the diversity of the congregation—men and women, old and young, various races and nationalities (if present in the church)—and involves them in different expressions of worship. Let me suggest a little exercise. When you arrive at your place of worship next Sunday, reflect on the worship experience and see what it communicates about whom is filling each role—prompter, actors, and audience. This may help you to understand where your worship leaders place their emphasis.